"It is happening everywhere. 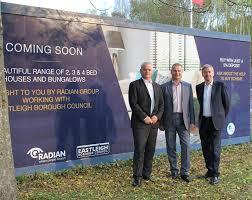 Locally, a Surrey County Council care home was closed (one of seven that they they staffed and ran and then closed) and the site was flogged off to Linden Homes (Tory donors). A few years back, Agent Cameron opened another development of theirs locally where the MAFF HQ had been closed and the large site flogged off for 'little box' development built so close together, you can reach out and touch the neighbouring wall. The care home site now contains 23 'luxury executive homes' under construction. The cheapest is over £925,000! Elsewhere, Army land at Longcross on heathland, near to the M3, previously used for ranges and training was decommissioned and sold to Crest Nicholson, again for 'stunning (they love that word) executive homes. The photos showed them with brand new cars parked on their forecourts. All crammed in and the slums of the future. 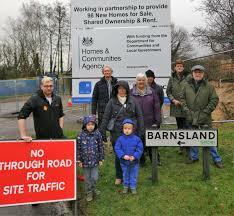 The same is happening at Bordon and Whitehill on a much larger scale. New roads have been put in. The mantra is to run down the military land and bases and flog off the land. If you look at the website of M3LEP, you will see that it is a 'local enterprise partnership.' They have been set up all over the country. Trumpeting it out loud; https://www.enterprisem3.org.uk/ This is the board. See the representatives there from HM's Army, from Crest Nicholson and from all the local councils and county councils with others from BT, IT companies and universities. The councils give the strategic planning permissions of course. Cosy isn't it? The board: https://www.enterprisem3.org.uk/the-board It includes: Browne, Colonel Simon Deputy Commander 11th Infantry Brigade Simon is Deputy Commander of 11th Infantry Brigade championing the Army’s presence and operational role in South East England as well as leading the Army’s strategic engagement in East Africa. He is a member of the civil military partnership boards for Kent, Surrey, Buckinghamshire, Oxfordshire, Berkshire, Hampshire and the Isle of Wight, West Sussex and East Sussex. He chairs the regional employer engagement board to assure public/private partnership engagement and to deliver corporate and community covenant obligations. Simon as a Royal Anglian is an infantry officer and currently one of the Regiment’s 2 Deputy Colonels. He has extensive operational experience in Northern Ireland, Bosnia, Afghanistan and Iraq. He has held posts at the Strategic level in the MOD, in the old Defence Procurement Agency, worked for the Head of Human Resources for the Army and been responsible for the Army’s outreach and civil engagement at a national level. He has also spent considerable time working in education, having held 2 positions on the staff at the United Kingdom’s Defence Academy in Shrivenham. He has received public recognition for his service in Northern Ireland where he was Mentioned in Despatches, in Afghanistan where he was made an MBE and Iraq where he was made an OBE.' There's a clever colonel. " "Solent LEP (Local |Enterprise Partnership) Its chair is practiced in the art of real estate development. There are five councillors from local and county councils including the leaders of Portsmouth and Southampton city councils. Remember they provide the planning permissions. The Vice Chancellor of Southampton Univ. Sir Christopher Snowden, is there too. He was previously at Surrey Univ and is now receiving £424,000pa. Nice. Do we read or hear anything about these almost secret set ups on the local or national MSM or from the news channel providers or the decisions they are making? No. Creeping fascism. Solent LEP is based at Lakeside North Harbour Portsmouth. https://solentlep.org.uk/contact-us/ Nice aerial photo. Does it include your heathland? Solent LEP‏ @solentlep Is the organisation behind much of the economic planning for the #Solent, our vision is to bring sustainable #growth, #investment and high-skilled #jobs to the region. Learn more about our ambitions here: http://bit.ly/2C2ILVH Open the biographies. Quite telling to see where they come from and the power they possess." Arafel; I was confirmed in my suspicions rather than having them further aroused when I saw the presence of a former military man in the rogue's gallery, who better to provide "logistical Support" for such invasive tactics? Our local councils may be able to deny assent for greenfield developments but they have no control over their overall budget so the land is acquired "by other means" by central government. After the second world war Churchill rewarded the Special Operation Executive with jobs in the city laundering money (for MI6 who would no longer tolerate the "SoE's" existence), but they were employed fighting her majesty's enemies, how things have changed! Quote; "The shake-up of England's planning laws is likely to result in more development on greenfield sites, but this will not happen without the approval of local communities, according to the government department responsible for the reforms. The national planning policy framework, a consultation document published three weeks ago, has provoked consternation in the ranks of the National Trust and the Council for the Protection of Rural England. 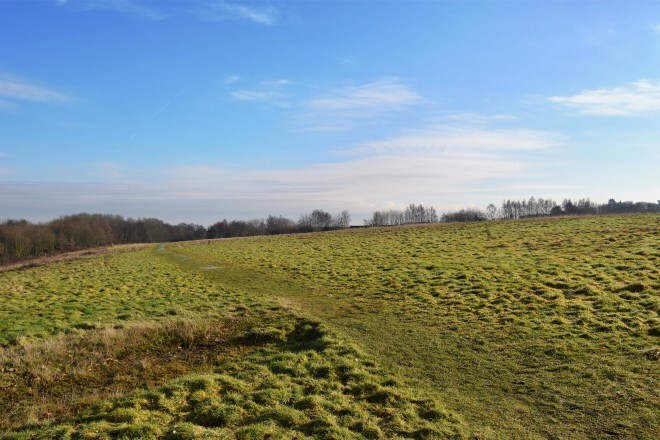 The campaign groups claim the framework dispenses with the previous government's emphasis that developers should build primarily on brownfield, urban sites rather than greenfield sites at the edge of the countryside. There have been claims this will result in developers "cherry-picking" greenfield sites as local authorities are instructed to develop ambitious five-year housebuilding plans." Go to: https://www.theguardian.com/politics/2011/aug/27/councils-greenfield-sites-planning-proposals for full article. Quote; "England faces a housing crisis. We agree there is a need to deliver more homes, but it is essential that these homes are the right types of homes and are in the right places. In rural areas, there is a particular need to protect existing affordable housing and increase stock in areas with high housing need. In these areas there is only 8% affordable housing stock, compared with 20% in urban areas. Due to the scale of the housing crisis and the high profit margins associated with developing greenfield sites, there is increasing pressure to build large houses in the countryside at the peripheries of existing settlements, with less scope for affordable homes. Weak planning policy increasingly allows this to happen, even in areas that are meant to be protected from development, such as Green Belt. The English housing market is currently dominated by a few large-scale developers. The business model of many of these developers is based around developing market housing on greenfield sites at a slow rate in order to maximise profit margins. It is clear that to solve the housing crisis, we need much more new building by other players such as small and medium-sized house builders, local authorities and individuals who want to build their own home. We also need more sensitive design. We’re concerned that national housebuilders continue to rely on standard, off the shelf designs with little interest in local building styles or character. We are keen to find out more about both good and bad practice. Policy measures can also be taken to facilitate development on brownfield sites, such as stronger funding structures for remediation." Go to: http://www.cpre.org.uk/what-we-do/housing-and-planning/housing/the-issues for full article. Quote; "Tens of thousands of new homes in greenfield areas in England will be given automatic planning permission amid fears that communities will have inappropriate developments forced on them. Ministers have quietly given developers the right to be granted "planning in principle" in areas that are earmarked for new housing schemes. Rural campaigners said the new powers will restrict the rights of council planning officers to ensure that the design, density, size and location of homes is in keeping with local areas. Shaun Spiers, chief executive of the Campaign to protect Rural England, said: "The country needs more house building, but the way to achieve this is through well-planned developments that win public consent. Imposing development without local democratic oversight is a recipe for discord."" Go to: http://www.telegraph.co.uk/news/earth/greenpolitics/planning/11968830/Tens-of-thousands-of-new-homes-in-greenfield-areas-to-get-automatic-planning-permission.html for full article.